Home / Unlabelled / PUBLIC SERVICE ANNOUNCEMENT: Please, Go Out and Vote on Saturday. PUBLIC SERVICE ANNOUNCEMENT: Please, Go Out and Vote on Saturday. 1. 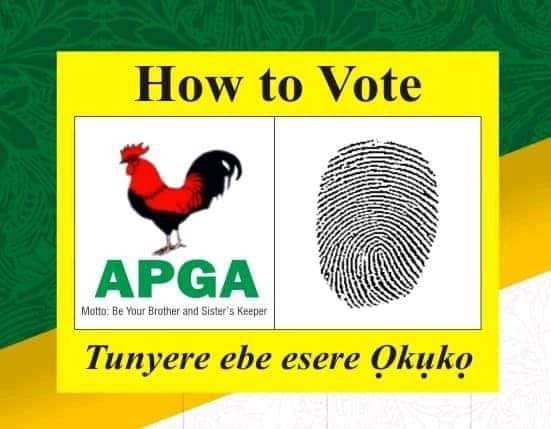 The Anambra State Government urges all residents of Anambra State who are 18 years and above and registered to vote in the election to hold on Saturday, February 16, and the rest of the 2019 general elections to go out and exercise their civic duty without any fear of disturbance from any quarters. 2. Governor Willie Obiano has made a comprehensive arrangement with all security agencies in the state and some other organizations like the Anambra State Fire Service to protect all relevant offices, voting centres, voting materials, electoral officials and voters. 3. The Governor has directed the police to ensure that unauthorized persons do not move about on the election day with their vehicles in violation of the restriction order on movement of vehicles. The Inspector General of Police has already ordered that security officers attached to private individuals be withdrawn immediately until the election is over. 4. Ndi Anambra are advised to report immediately any attempt to compromise the integrity of the electoral process or cause a breach of the public peace. The number to call for prompt action is 0703 919 4332. 5. The people and Government of Anambra State are committed to a free, fair and transparent election in line with our reputation as Nigeria’s safest and most peaceful state. We are determined to ensure that the 2019 general elections in the state are held as scheduled and as credible as the November 17, 2017, gubernatorial election which has gone down in history as the country’s most peaceful and transparent election ever.